Preparing a birthday party? Why not find a new way to make the arrangements. Try your next birthday celebrations with Latex balloons, which is an amazing decoration ideas for party celebration. Before you begin with the decorations, make clear about the party and all that you desire to do in your party. Identify the best theme, which the hero/heroine of the party wishes. Without all these basic ideas, you may end up with a mess. Make your party too grand with our splendid tips. Enjoy your party to the core with friends and relative circle to the maximum with our perfect go. You should be aware of the below topics before you begin with purchasing the materials that is required to decorate the theme of your party plan. •	Know the occasion first. •	Then choose the right location for your gathering. •	Come to know the person for whom you are arranging the party. •	Then understand the likes and dislikes of the guest of honor. •	Last but not the least; you will have to know the strength of your party or the number of visitors attending your party. Once you are known for all the above topics, you can begin with streamlining your party. A successful party is now all yours. Let us now guide you on arranging a perfect party with the above guidelines making use of the trending party balloons known as the latex balloons. Let us take a sample party scenario based on the above topics, to guide you better!! It’s the charming special birthday of my daughter aged 10. The party is to be conducted in a party hall. My daughter likes teddy bears a lot. About 20 people will be attending the event. Good! On knowing the scenario, it is going to be very easy to plan the party. As we are going to move with decorating the part hall with latex balloons, knowing the favorite color of the party King/Queen is essential. 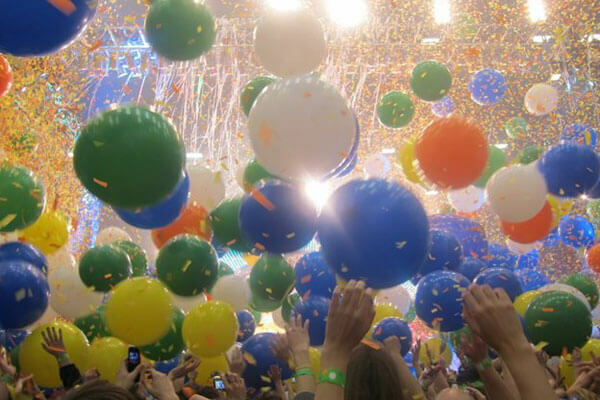 Once you are known, choose the entire favorite color balloons, blow them and fill your party hall with balloons. We have also heard that your daughter likes teddy bear, and then you will have for latex balloons printed with teddy bears and arrange them in the interesting corners of the party hall. Also, try making balloon dolls of the teddy bear and keep it at the entrance and on the party dice, which will make your daughter more excited. Also, this will attract the kids of your visitors. Arrange some admiring gifts for the visitors who attend your party. This will make your visitors admire your party; also arrange delicious dishes and salads to keep your visitors fresh. Now conduct some awesome games with balloons which will keep your visitors circle more engaged. These are the perfect tips, once considered will make your party a perfect success. Take these steps and arrange your next party and they have a voice. This will be a special treat for both the visitors and the party holders. We wish you a trending party ahead.